I REMEMBER the morning when I did rounds earlier than usual. I am a morning person, and I like the peace and quiet of the wards at 6 am, still devoid of the usual crowd of fellows and residents looking for the same charts. I saw one of my clerks pushing our patient's stretcher. I learned that he came in at 5 am to make sure the patient didn't miss the cranial CT scan schedule. I was so moved by his dedication, realizing I wasn't like that at all when I was a medical student. 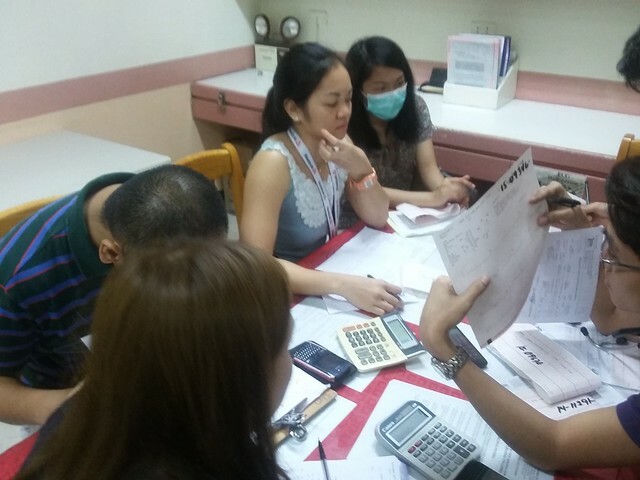 I was browsing through my private online photo folder when I chanced upon some photos taken during my Ward and Medical ICU rotations. 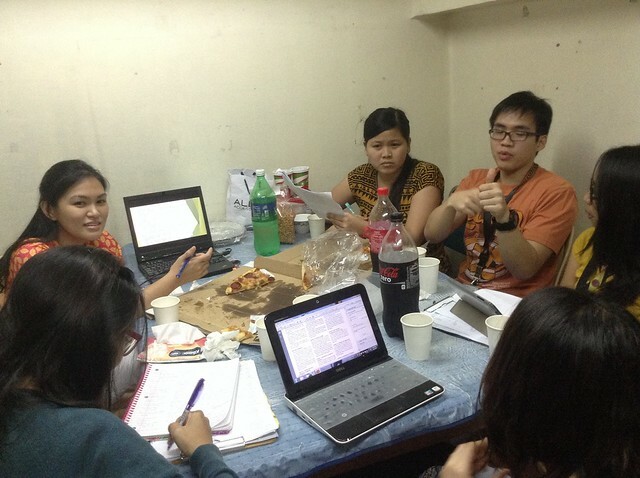 The interns are now reviewing for the Boards. The clerks are enjoying their break—in three weeks, they'll be donning their white coats. I'm posting the photos for posterity. 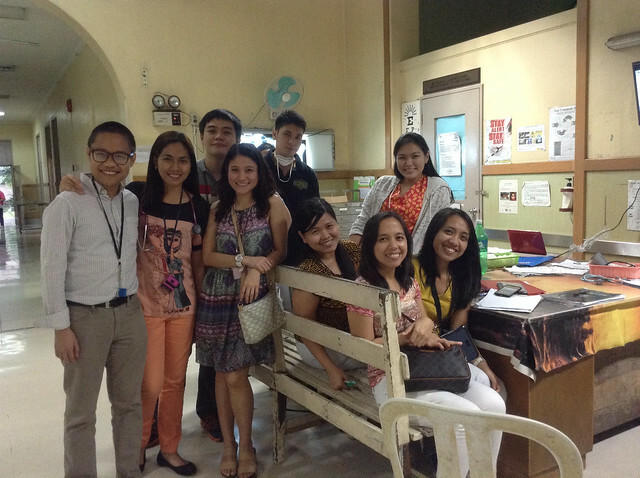 Myself, my co-residents Rac Bruno, Josh Abejero, Ma'am Julie Gabat, Amy Lopez, Raymond Lozada, Jing Lagrada, Bea Eusebio, and Mia Licyayo (Gen Med 6, January 2015). Teaching session at the SRO, Bea, Katha Ignacio taking down notes, Amy looking very tired, Patrick Huang demonstrating something. 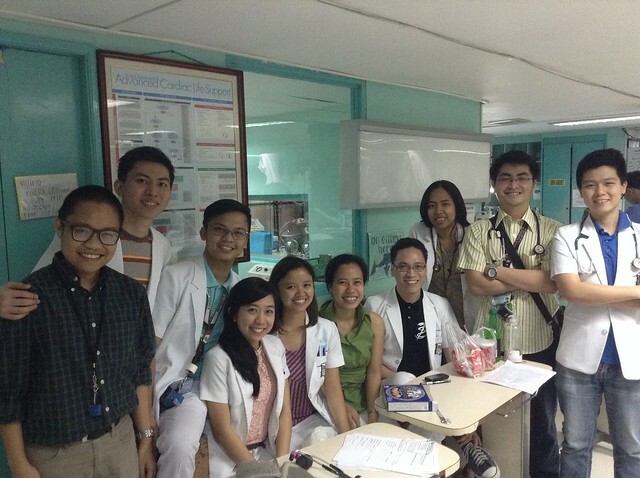 Myself, Jed Lintag, Jam Magarang, Sofie Manlubatan, Lisa Lim, She Manalili, Mac Llanes, my co-residents Edz Cagas, David Francisco, and Rich King (MICU, February 2015). 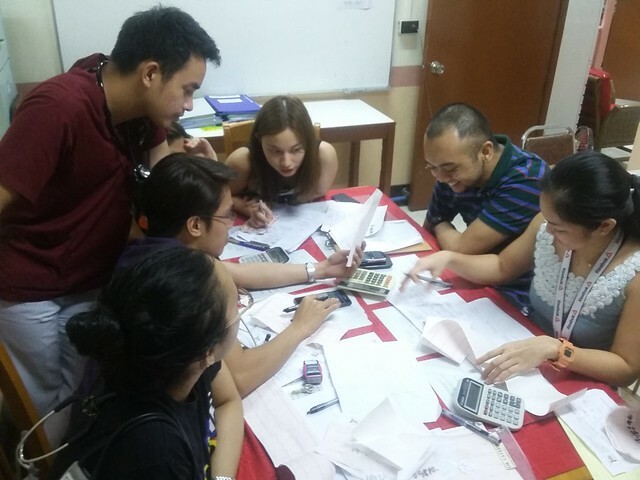 Migo Mantaring, my co-resident Rac Bruno, Sir Nemo Trinidad, Jo Dompor, Gian Flores, Joy Ganancial, and Luigi Manzo (Gen Med 3, March 2015). 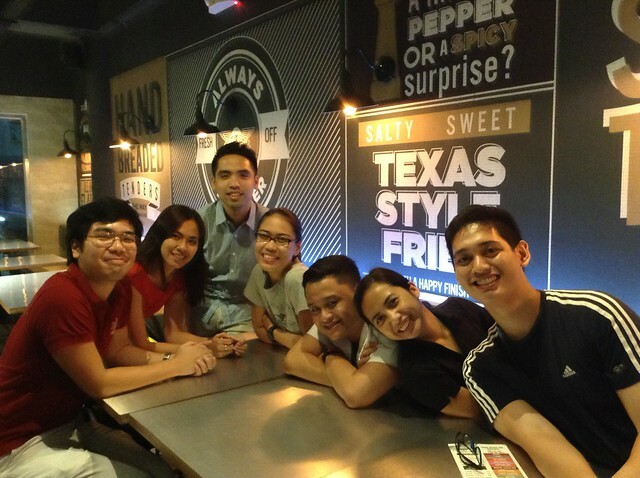 ECG teaching session at the ECG room with Poppy Bobbie Santos, Perper, my co-resident Jayson Magbojos, Sunni Castillo, Mac Corrales, and Paula Reyes (Gen Med 3, May 2015). Paula Reyes and Sharm Solives, wearing a mask. I've missed working with them.